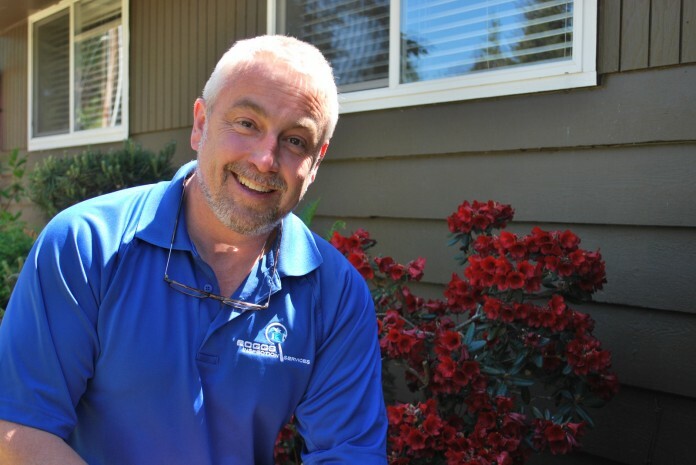 Dwayne Boggs, owner of Boggs Inspection Services, has been inspecting homes, old and new, throughout the South Sound for over 12 years. Buying a new home is always exciting. But, when that home is new construction, it’s especially thrilling. Whether you participated in the building process, choosing paint colors and flooring, or are buying a newly completed home in a brand new neighborhood, you will be the first family to live in the fresh space. Inspector Bill Ryan checks the exterior of a new construction home as part of the complete home inspection process. While your home is shiny and new on the surface, don’t be fooled into thinking everything is perfect underneath. New homes, just like older homes, can have structural, mechanical, and cosmetic issues that buyers should be aware of before signing on the dotted line. 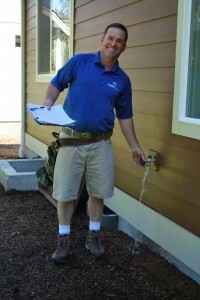 The professional inspectors at Boggs Inspection Service have been inspecting homes around the South Sound for over 12 years and lately, they have been inspecting more and more new construction. With the real estate and building markets on the upswing, and low inventories, new homes in new neighborhoods are selling fast. Bill Ryan is one of Boggs’ trusted inspectors and consistently sees several new construction homes each week. “I always tell people, whether it’s their first home or their 50th home, a home inspection should be part of the transaction,” explains Ryan. “Homes are built by humans,” Ryan says, “and mistakes can happen. It’s not anyone’s fault, necessarily, but an inspection provides checks and balances to make sure nothing is missed.” A new home construction site is a bustling hive of activity with numerous sub-contractors working on multiple parts of the home at any given time. With a majority of new construction homes found in planned residential developments, construction superintendents are shuttling between job-sites all day long and things can simply get missed. 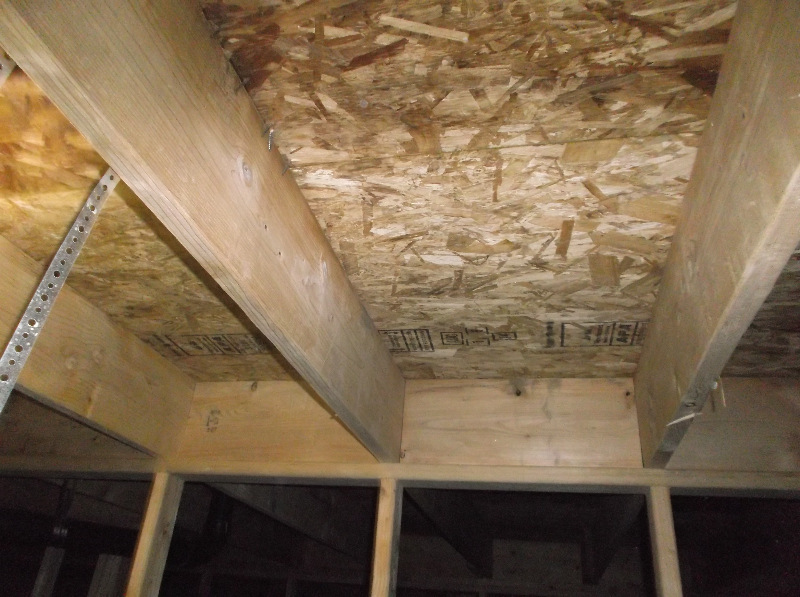 This 11-month-old home was inspected just prior to the one-year warranty expiration and the Boggs team discovered there was no insulation installed in the entire crawl space. “There’s always something we find on a new home,” says Boggs’ inspector Keith Bowman. “But, we aren’t finding issues like decay or wear as we would in an older home. The issues we see are more cosmetic and smaller things the builder has overlooked.” Common findings on new homes include items like missing caps on roof safety ties, flashing not installed on a section of the roof, larger drywall dings, missing caulking on a porch post or railing or an exposed nail on the roof. Most of these items are relatively small and are easily addressed by the builder prior to purchase. However, if left unattended, something small can turn into something major. 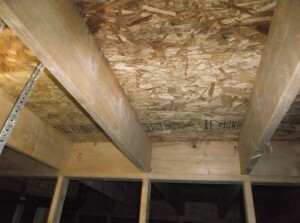 “Something as small as a piece of flashing installed incorrectly can turn into a big problem after a couple of years of moisture leaking into your attic,” says Bowman. 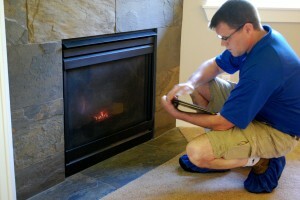 Boggs inspectors also offer tips and advice during an inspection, an invaluable asset when getting to know a new house. “We give them maintenance tips, show them where the GFCI switches are, and help them know how to maintain their new home,” Bowman explains. 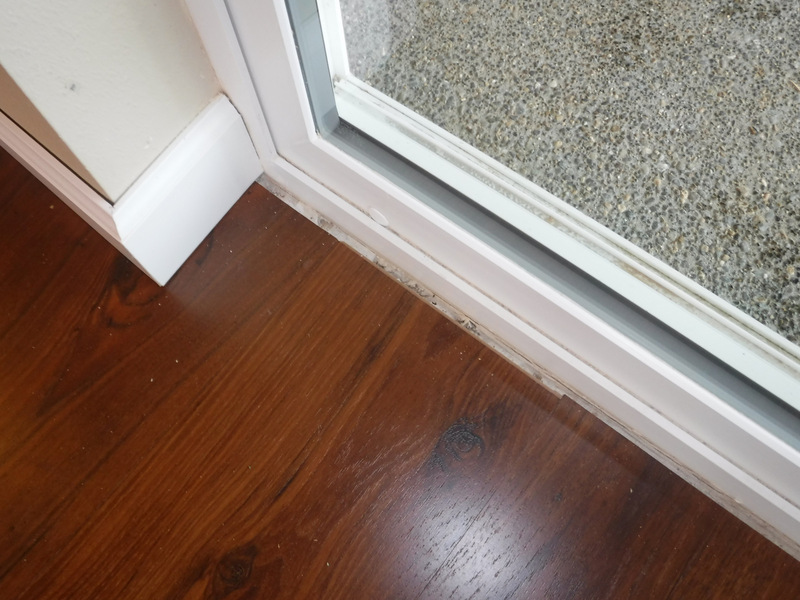 An inspection on a new home can reveal construction errors big and small such as this gap in flooring at a door threshold. While it’s standard to hire a home inspector prior to closing, many buyers of new construction also hire Boggs Inspection Services to visit again just prior to the one-year mark of home ownership. A majority of builders in planned residential developments offer a one-year home warranty. During that first year many issues, small and large, can crop up for owners. “The one-year mark is the last chance owners get to fix something in their new home for free,” says Ryan. And, after a year spent living in the space, home owners are likely to notice issues that have developed over time big and small. Inspector Keith Bowman checks the function of a gas fireplace in a new home, knowing that even in new homes, errors can occur during the busy construction phase. If that second report finds a major issue such as a roof leak, a structural issue in the crawl space or a hidden wall leak, buyers will be happy to pay only the affordable inspection charge instead of costly repair bills down the road. If a new construction home is in your future, enter the transaction with your eyes wide open. While you are purchasing a new home, no one purchases a perfect home. Invest in a home inspection, and later a one-year warranty inspection, with Boggs Inspection Services to ensure your new house is a safe, quality home for years to come. You can reach Boggs Inspection Services online or at 360-480-9602.